Pearson, the world’s leading learning company, today launched the first edition of its new book on Python programming. 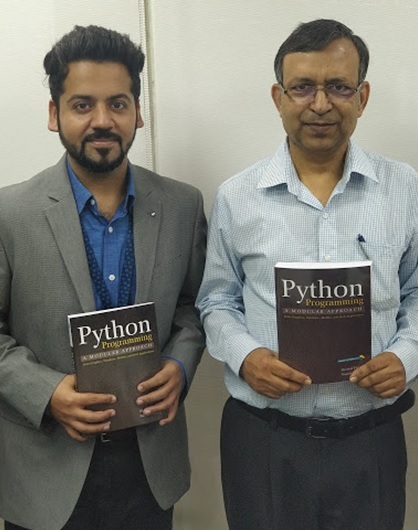 The book titled – ‘Python Programming - A Modular Approach’ – is authored by Sheetal Taneja and Naveen Kumar. The book, in its first edition, focuses on building a strong conceptual foundation to facilitate the understanding of advanced applications. The text includes basic sorting and searching techniques. It also provides comprehensive coverage of recursion, which includes problems on list manipulation, Tower of Hanoi, permutation generation, n-queens' problem, Sudoku and plotting Hilbert curves. It has a separate chapter on graphics covering 2D, 3D objects and animations. Priced at Rs. 499, the book will be available at all leading stores and major e-commerce portals such as Amazon across the country.